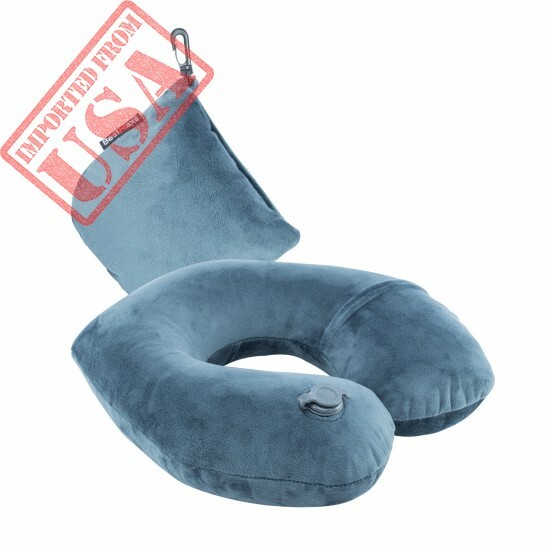 The perfect travel neck pillow to enhance your travel and lounging experience, this unique U-shaped pillow is designed to provide a convenient and cozy solution for your comfort needs on the go. Portable and deflatable, this travel pillow for airplane travel is a must have for traveling. Sleeping on the plane for long hours,especially if you are going for a holiday.Comfortable sit sometimes is not enough to support your sleeping.Would you feel more tired when you get up? 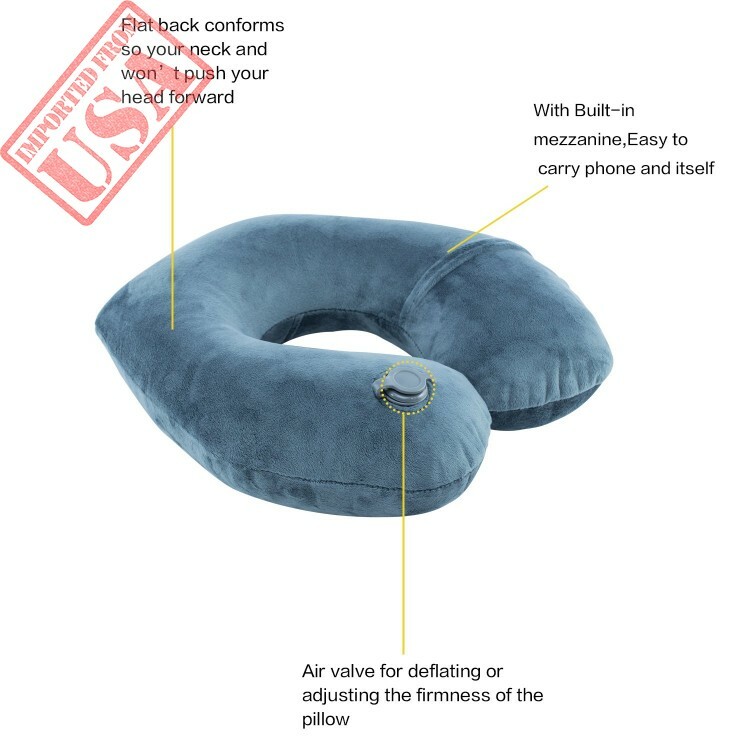 This neck pillow for airplane travel is a perfect travel companion for an airplane ,car, train,camping ,or office relax.Scientifically hump design to support your head and neck from excessive leaning, so your head is kept in the comfort position. You can inflate it only when you are going to use it. 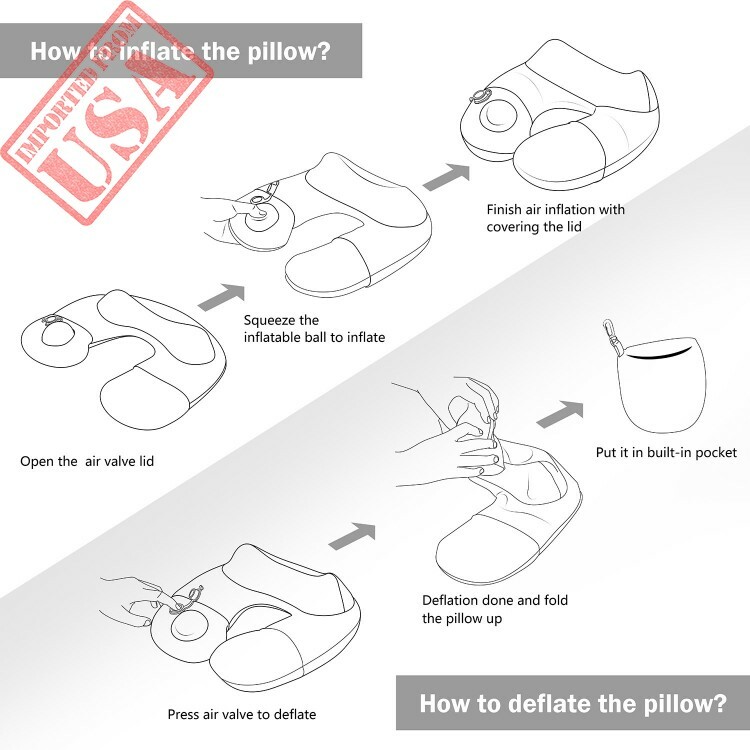 When it is not needed, you can deflated and fold it .The inflatable travel pillow is excellent ,not only provides quickly inflated and deflated method,but also turns into health and safe to use anytime and anywhere ! 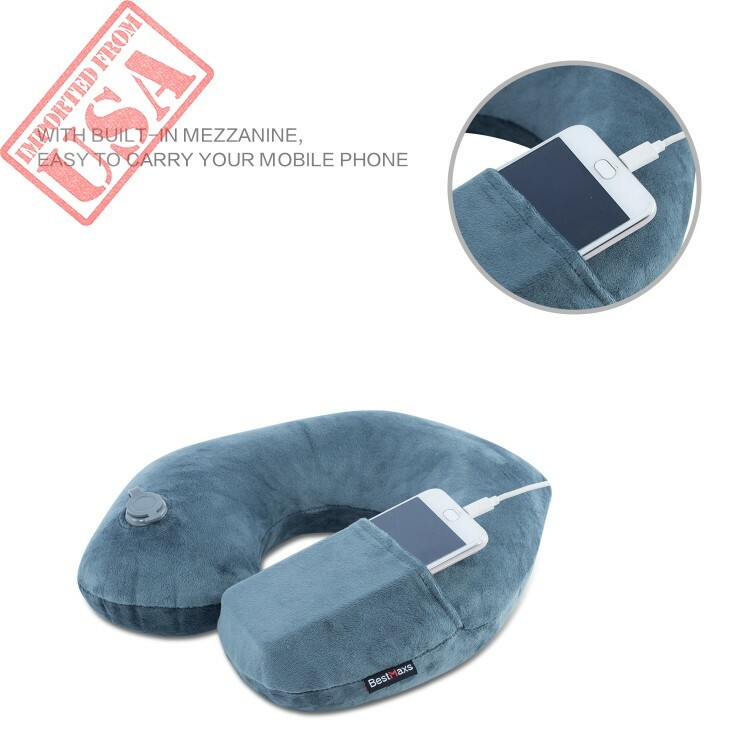 This is 2 in 1 and convertible neck pillow,you no longer need an extra carry case .The travel neck pillow also features a hook so you can attach it to your luggage when you're on the move. Suitable for age groups of 7 and over. Although there are travel pillows you can find on the market,This would be your first fashion color style travel pillow .Which is designed by a group of senior Italian designers. 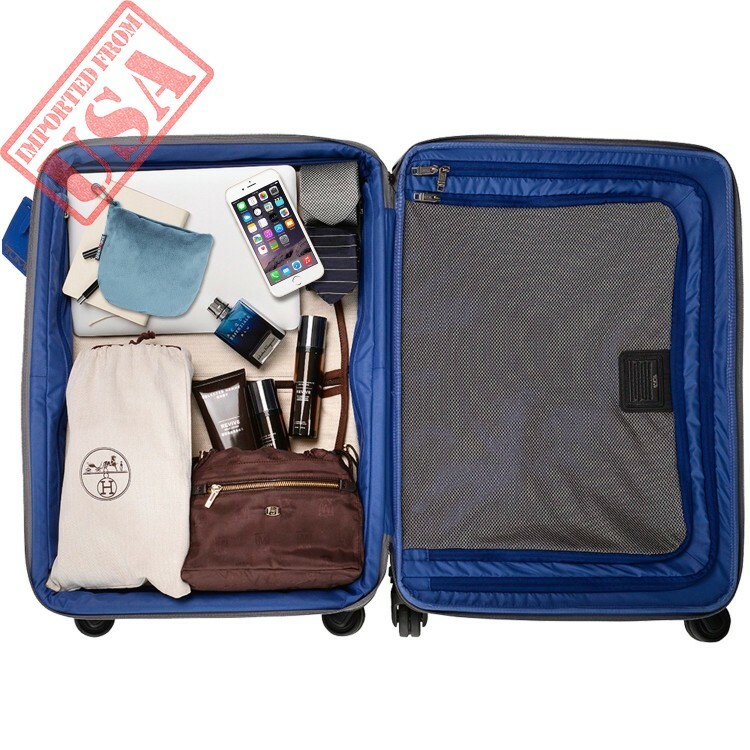 "Add to Cart" to get your travel pillow Now ! Enjoy your comfortable trip ! 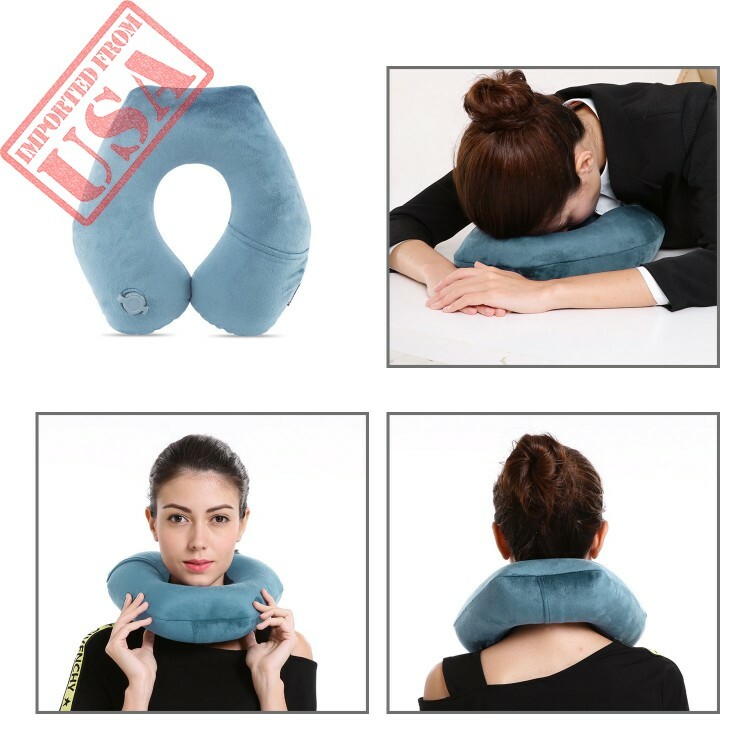 √ UNIQUE AND INNOVATIVE PATENT DESIGN.This Innovative 6D ergonomic Patent Design neck pillow can 360 degree support your head, neck and chin in maximum comfort in any sitting position,which is much more relaxing and supportive than 2D flat travel pillow . It also helps you enjoy high-quality sleeping on travel . √ FASTEST INFLATABLE PATENT DESGIN. Adopted the most advanced technology,this inflatable travel pillow for airplanes has the most fastest speed ,It can inflate up to 30 seconds and deflated within seconds . It also prevents the spread of bacteria by mouth blowing.which ensures healthy. √ SUPER SOFT PILLOW CASE.The neck pillow for airplane travel is made from ultra-soft velvet travel pillow case.The super fluffy pillow cover feel is as soft as cloud. It provides the glorious comfort and luxury you crave on the road. √ LIGHTWEIGHT AND COMPACT SIZE.With compact and portable design,this U shape airplane pillow is extremely lightweight(N.W:0.66lb).My pillow travel pillow can be deflated with a mini pouch for you to attach to carry-on . 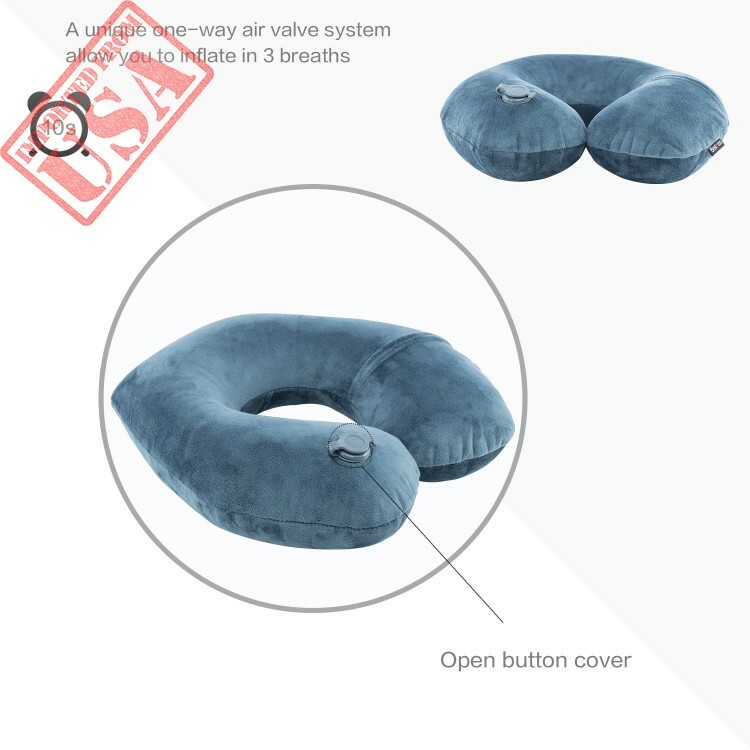 √ ADJUSTABLE INFLATION LEVEL AND SOFTNESS.This travel neck pillow is compatible with any size of the head because you can control the air that enters the pillow. Ensure you're comfortable and well-supported throughout your journeys.